Type your domain name without www in address bar. Check whether it redirects to your site or give a 301 error message. If you got 301 error message, then you will solve this problem using .htaccess. .htaccess force the all http requests to use either www.domainname.com or domainname.com . HTTP_HOST - represents your domain name. redirect to next rewrite rule.
! ^www.domainname.com$ - means you typed domain name is not start with www. NC - represents not case sensitive. RewriteRule - means it redirect domain name without www to http://www.doaminname.com.
.* - one or more characters. L - if rule matches, don't process any other rewrite rules below this one. 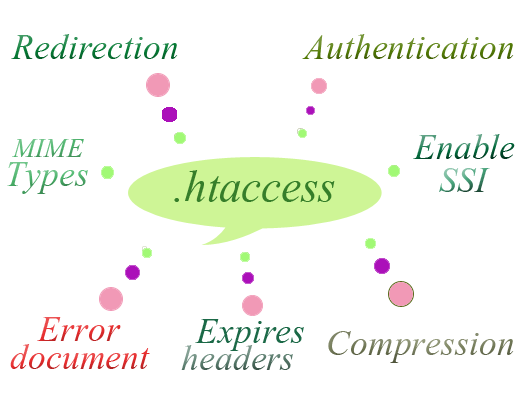 Hypertext access is shortly called as htaccess. It is a directory level configuration file. Directory level means, where you locate your .htaccess file, it configure that directory only. Mostly, on server, it is placed on public_html folder for configure the files to access. You can control your site using it. It is supported by web servers. How to start with .htaccess? is included, then it run. Otherwise it doesn't get run. It tells apache to turn on its RewriteRules. RewriteCond execute the next rewrite rules if it is correct. !-f, !-d, !-l are extension added to regular expression. if a file, taken from variable %(REQUEST_FILENAME) does not exist on the file system, then return true. It provide base for RewriteRules. It tells apache to which file is run first when server access to particular directory. it means, when url get ' home ' on address bar, it runs the file index.php. Using this method, we can change our address bar contents to anything. you type sample.html in your address bar, the .htaccess runs sample.php file. we can pass the values in address bar using it.